Click on picture for larger views! 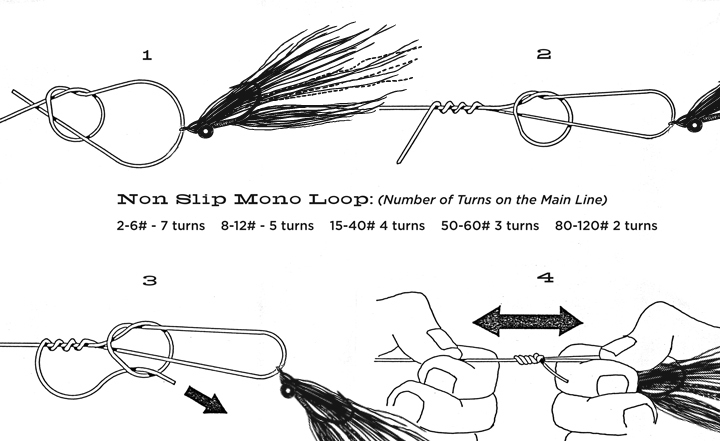 The Non Slip Mono Loop: Lefty showed me this one many years ago. A great easy loop knot that allows the fly to swing, giving the fly great natural movement and enabling the fly to sink faster. (click on image to enlarge) I use this knot almost exclusively, make sure you lubricate the knot with chap stick prior to cinching it down. The San Diego Jam Knot: A fast, reliable and easy connection developed by San Diego long range fisherman tossing “iron” jigs to tuna. 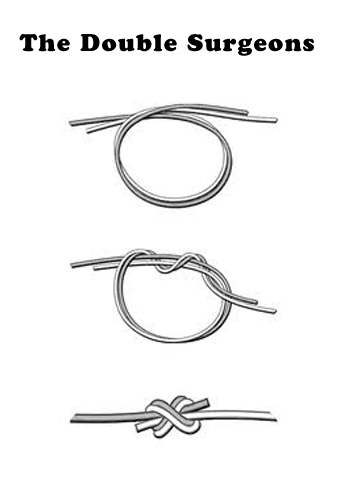 The Six Turn Yucatan Knot: an easy way to go for building a light to heavy line splice: great for shock leaders! The Trilene Knot: A fast, reliable and easy way to connect your tippet to a fly. 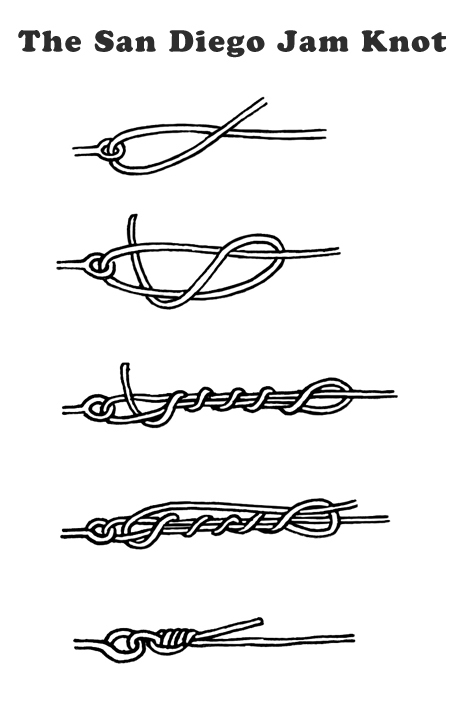 this knot tests very close to 100% when tied properly. 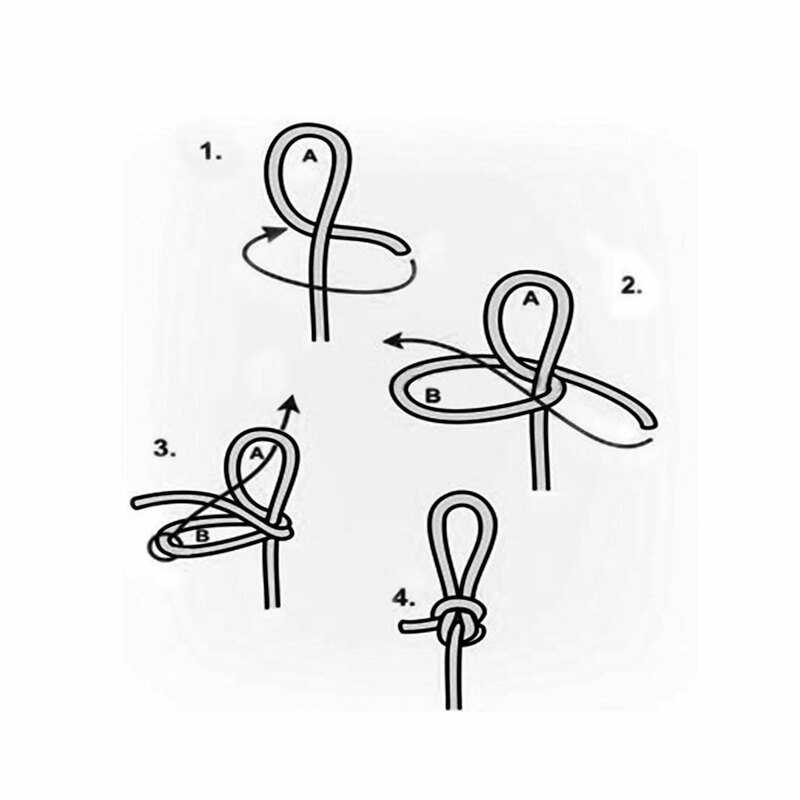 The Double Surgeons Knot: A fast, reliable and easy way to connect two lines of different diameter, great for building leaders. 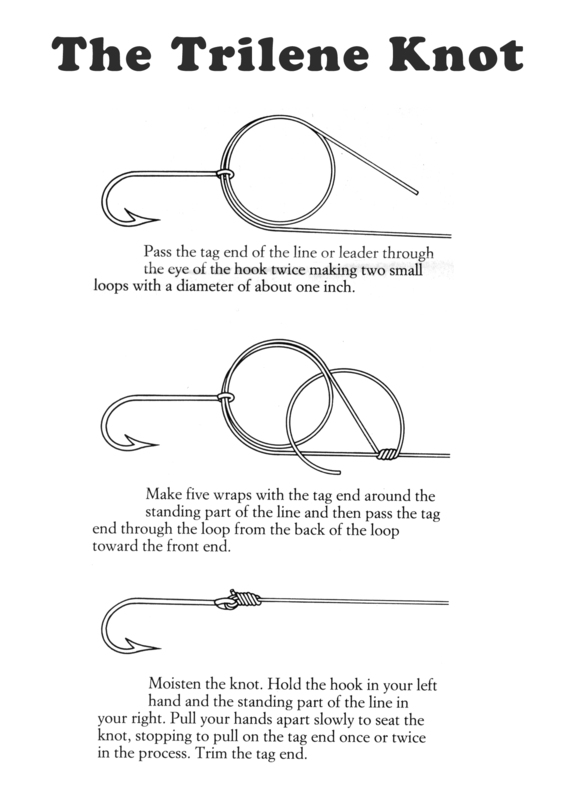 The Standard Blood Knot: A reliable and strong method of connecting two lines of different diameter, excellent for building leaders for large fish. 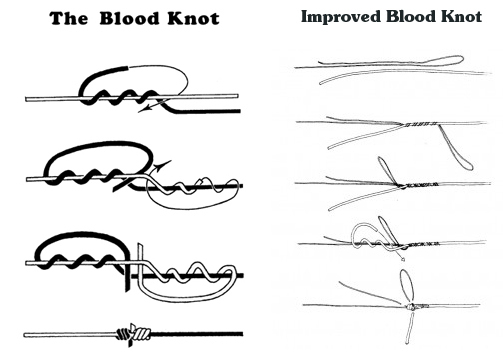 The Improved Blood Knot: a great for connecting a smaller line to a larger line (like lighter class tippet to heavy shock or bite material). 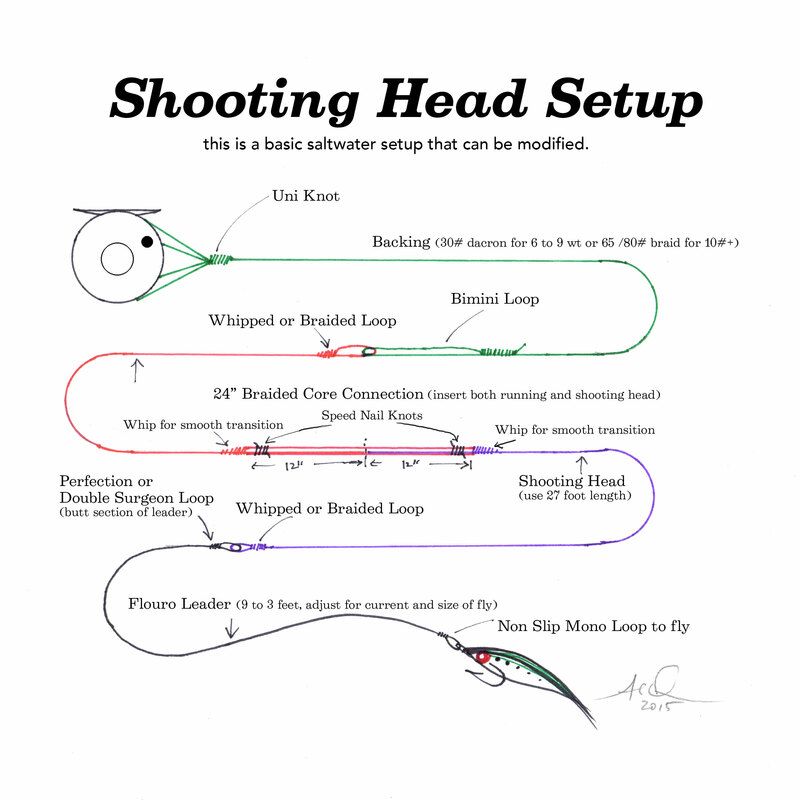 Al Q shooting head system from the reel to the fly. 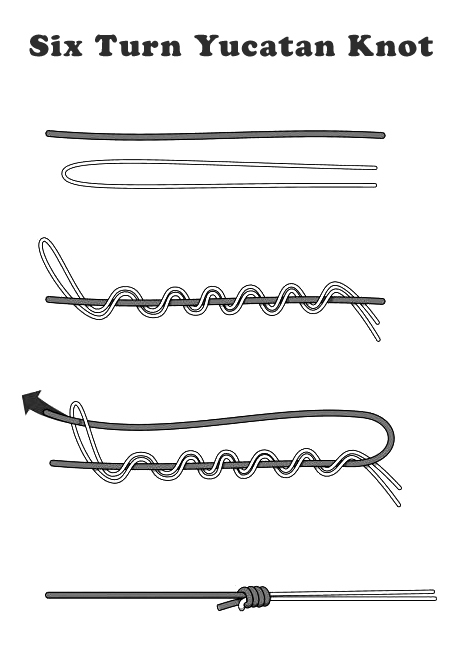 regarding Lefty’s no slip knot, for 30 lb and up I find two turns sufficient; less than 30, to 4x, three turns. makes for a smaller profile knot and seems to hold up. I recall the late Bill Nash mentioned a different method of tying a no-slip, something about feeding the tag end through the “triangle” above the overhand. are you familiar with that variation? I normally only use the non slip mono loop in tippets to twenty pound test. The knot Nash is referring to is called the Lefty loop, when you pinch behind the loop and get the one loop to feed your tag end through before tightening. the line should point towards the fly if done correctly. Some guys just feed the tag end through the middle of the loop, this is the tradition non-slip mono loop.